On Tuesday, May 6, 2014, North Carolinians will be voting in several primary elections, including those for Congress. 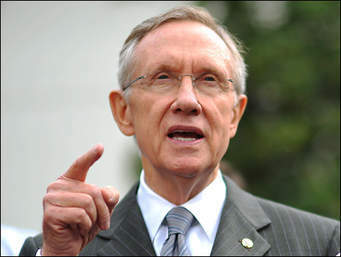 We will focus on the US Senate primary. 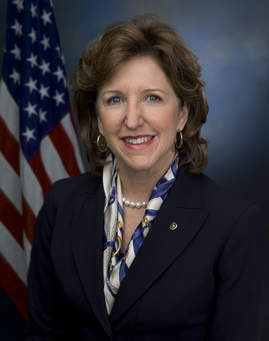 Senator Kay Hagan is running for reelection this year. Senator Hagan continues to support Obamacare, despite a recent High Point University poll stating that 54% of North Carolinians disapprove of the law. Senator Hagan blames insurance companies for cancelling health insurance plans as those plans are, according to her, “substandard.” In addition, Senator Hagan has repeated the “if you like your plan, you can keep it” lie. Currently, Thom Tillis is poised to win this primary. In a matchup between Tillis and Senator Hagan, they are virtually tied. In addition to this primary, Rep. Renee Ellmers is running for reelection in CD 2 against Clay Aiken, American Idol runner up. Apparently competing on two reality shows (Idol and Celebrity Apprentice) qualifies a person to serve as a Congressman. What’s next? Kongresswoman Kardashian? North Carolinians, please remember to vote in this primary on Tuesday, May 6, 2014! If you had the power to eliminate one federal agency from the list below, which agency would you eliminate? Why would you eliminate this agency? Would you replace the eliminated agency with something else? The Democrats love to blame President George W. Bush for all of our country’s woes and will continue to do so until the end of time. President Bush was not a perfect President – no President is – but many people forget that, at the end of the day, there was no question that President Bush loved America and was a true patriot. I’m not sure we can say the same for the current occupant of 1600 Pennsylvania Avenue. 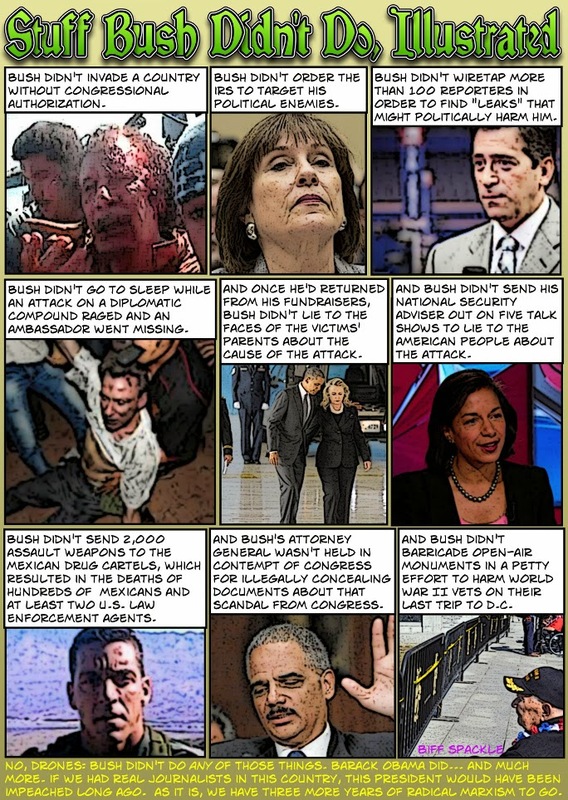 I came across this comic entitled Stuff Bush Didn’t Do, Illustrated. President Bush did not sit in a church pew for years, listening to the violent discourse of a person who hated America. President Bush did not treat our military like second class citizens. 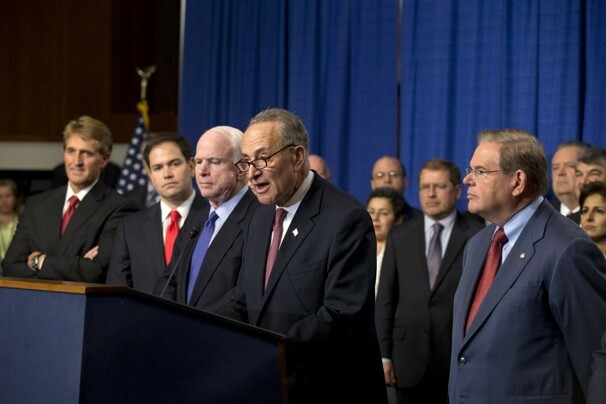 President Obama’s Democratic Party has become unrecognizable. The party to which I belonged has jumped overboard, and has now become a party that celebrates a disincentive to work for a living. Now, I am a fan of the movie Office Space and I understand that people are not always crazy about their jobs. However, the Democrats have become absurd beyond belief. What kind of nonsense is this? Remember that the subsidies that enable some Americans to decide whether they want to work translates into higher taxes from those who must or want to work. No wonder why the 10 poorest cities in America have been run by Democrats. 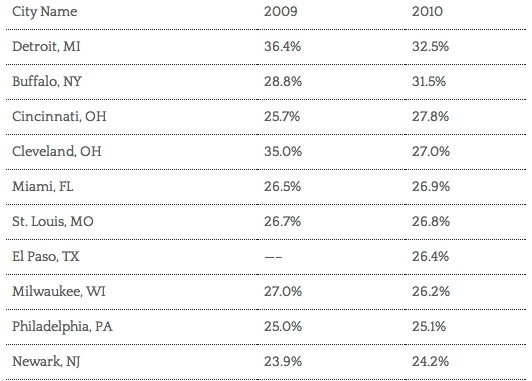 This chart illustrates the percentage of residents of each of these cities who are at or below the poverty line. Unless you happen to be fabulously wealthy like Rep. Pelosi, if you decide to free yourself from the constraints of work, chances are you will then have to be dependent on government assistance. 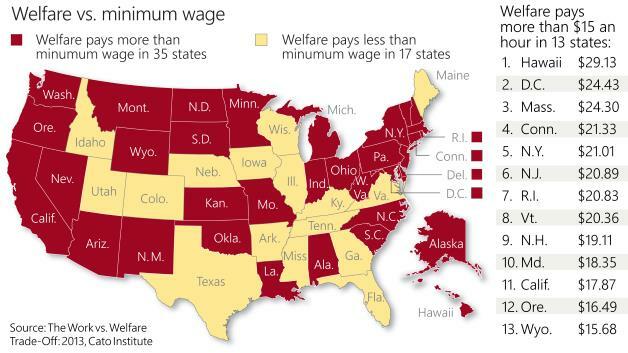 If you happen to live in a state where welfare pays more than minimum wage, you’re in fat city. What kind of message is that sending to our youth? Keeping people dependent on government is not compassionate, its insulting. Do you think Democrats really care about you? Do you think increasing welfare, making it easier to qualify for food stamps, making Temporary Assistance for Needy Families (TANF) permanent means that Democrats care about you? The answer is no. Democrats only care about increasing the number of people who will vote for them. This is a hard truth to swallow. I know this because I used to eat up this rhetoric. In contrast, Republicans are the party of work. Republicans are the party of business, of getting ahead and of achieving. 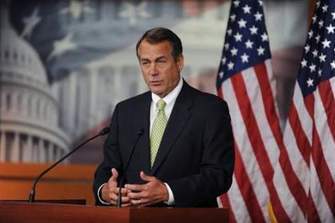 Republicans believe that government expansion threatens individual initiative. Telling people that they are only good enough to live off the government and not to work for a living is disgraceful. There is dignity in every single job. We must re-instill in people the initiative to work and personal responsibility. Obamacare’s legacy is that it supposedly helps people get health insurance without having to work. Let the suckers who work for a living pay for your health insurance, your welfare and your food stamps. This is sad and this is dangerous for our country’s future. Disincentivizing work is pathetic and desperate. When you go to the polls in November, I urge you to think about what kind of a future the Democrats want to create for your children. 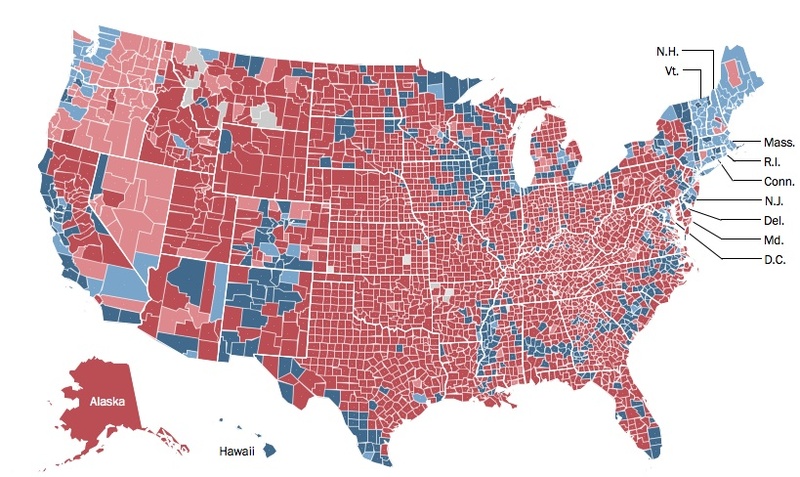 This is a map of how each county in all 50 states voted in the 2012 Presidential election. Think about it. How can Republicans embrace urban centers, and how can urban centers embrace Republicans?